Get a "Buy One, Get One Free Entree" Coupon from Chipotle When You "Remix Your Order"
Chipotle is offering to give you a "buy one, get one free" deal on any entree on the menu when you "remix your order." What exactly does remixing your order entail? 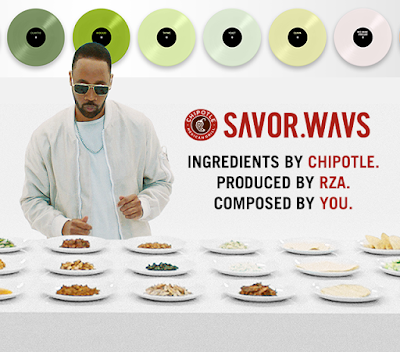 You basically need to go to the website they set up for the promo: savorwavs.com (i.e. "Savor.WAVs" ; ".WAVs" as in the sound file). Once there, you'll be prompted to choose your favorite ingredients and meal and then the site will generate a "unique musical sensory experience" for you. To get your coupon, you'll then need to provide: first name, last name, mobile phone number, and zip code. The coupon comes via text to the mobile phone number provided (limit one offer per person, per phone number). The promo ends August 31, 2017 (which is the same day the coupons expire), while supplies last (they're giving out 4,250,000 coupons but they do tend to go fairly quickly).